As a storytelling device, the “mix-up” has staying power. You know the plot twist I’m talking about—when two characters mutually misinterpret something and everything goes horribly awry because of it. The results range from tragedy (Romeo and Juliet) to buffoonery, as in, say, just about every episode of Three’s Company. In the case of Ame Dyckman’s wonderful picture book Boy+ Bot, crossed signals create a tale of good intentions misapplied. A youngster meets a friendly machine on a forest stroll, leading to a bout of roughhousing that shuts down the robot’s power. Mistakenly viewing this as an injury, the child hauls his comatose companion home for some not-very-helpful treatments, such as force-fed applesauce. The lad goes to sleep, the robot awakens, and the same kind of misunderstanding ensues—this time with oil, fresh batteries, and technical manuals as hoped-for cures. In a good mix-up story, hasty and thoughtless actions are products of depth of feeling. They show us that, more than the “thought,” it is the caring that counts. Dyckman and illustrator Dan Yaccarino take readers straight to the emotional core of this lesson, with spare, hearty text and images as endearing as a finely crafted puppet show. The story’s conclusion ties into the importance of mending errors and taking responsibility, without losing a trace of its buoyant touch. On a personal note, my wife took our kids to one of Dyckman’s recent library visits. I wasn’t able to attend due to my workload, and, unfortunately, I had no knowledge of the author or her book until my family described the event to me later. 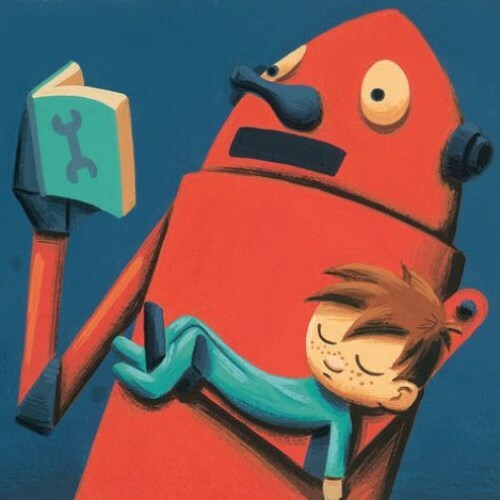 Now I wish I had fallen asleep like the boy in the story so that someone—preferably a well-trained robot—could have whisked me away to the reading. That would have done wonders for my exhausted soul. If pennies only knew—their days are numbered. Sometimes I think of them as pawns or foot soldiers, as if coins have a rank system. But my mind isn’t geared toward a military way of thinking, so I can’t get the chain-of-command metaphor to hold up. I mean, you could apply it to numbers and letters, too—1 is the grunt, the cannon fodder, and 100 is Pentagon brass. “A” is always first out of the trenches, while “Z” snores through the entire assault, and so on. It all turns absurd and I have to stop thinking about it. As yesterday’s Talk of the Nation illustrated, however, there are those who want to kill the American penny. Canada has already stopped production of its cent coins, although it still allows existing pennies as legal tender, and other countries have taken similar measures. The TOTN segment featured Newsday columnist Daniel Akst, who supports the anti-zinc-Lincoln campaign here in the U.S. He made his case with good humor, but also with a degree of aloofness, I thought. Listen, I know it’s just money and we shouldn’t get sentimental about it, but at the same time, let’s not become too cavalier regarding penny eradication. Try this—put one in your palm and sit a while. Don’t turn away from that harmless, unassuming amber circle. Let it stare up at you like a red wolf pup, like the eye of a baby seal. What’s your instinct? To protect the endangered, or to toss the little blighter down the sink-drain of extinction? Yes, yes, I know, it’s inanimate. It’s a piece of zinc. It has no soul and is thus in no peril. But what may truly be in danger, and what few folks seem to be considering, is the potential impact on children. (A couple of callers did address this, but only briefly, from a decidedly parental and, in one case, rather authoritarian perspective.) If I still actively bottle up pennies and turn them in at CoinStar, it wouldn’t surprise me if frugal kids all over the country put even more energy into the activity. 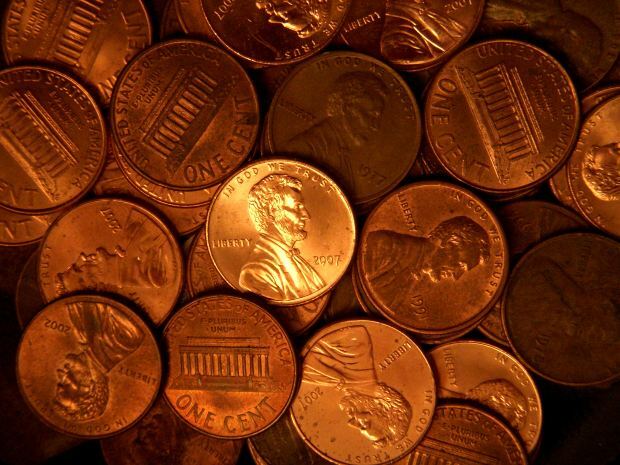 Pennies help the most vulnerable among us to not only save, but to learn how to save. Unless, of course, they do it all digitally now. Banks and credit card companies, evidently, have no plans to erase individual cent amounts from their transactions—so perhaps my four-year-old twins will build financial savvy via computer, ignoring the charm of the metal penny and chalking up one more reason to think of me as a changeophobic Neanderthal. Then I’ll be the endangered species. I’ll be the targeted one. I hope someone remembers to put nickels on my eyes.